Many Chinese have learned the classic tale of The Foolish Old Man Removes the Mountains back in elementary school. In the story, a 90-year-old man attempts to move two mountains standing in his way by himself and failing to make much headway he decides the job would fall on his children after him. But his perseverance impresses the gods who grant his wish. One of the two mountains is Wangwu, located in Jiyuan, Henan province, which was clad in red-and-yellow leaves earlier this month. 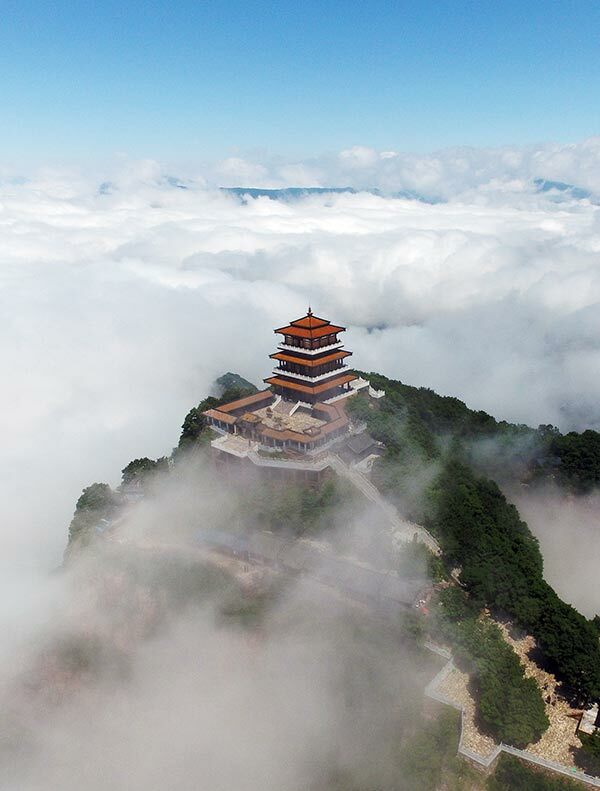 Wangwu Mountain, named a UNESCO world geological park in 2006, covers an area of 270 square kilometers, with the peak at 1,715 meters, and has many Taoist temples.